Feeling somewhat tired still and lacking any sort of speed after the 24 hr race 2 weeks previous decided to still commit to racing “SHORT”! The annual meet for VAC being at Solihull I travelled up to run for the South. Just prayed I wouldn’t embarrass myself, also a prompt reminder that last year was suffering terribly with Glandular Fever. The race was very late in the day so the motivation was low but I would give it my best shot. It was very hot from the extreme summer we were experiencing so It was a case of just getting my head down for 7.5 laps. Mixed women’s race from v35 – v65 I led from the start and paced it slow to start with and then just ticked off the laps and didn’t do anything more than required to take the win. It was a PW (Personal Worst) 10.58 but all the legs wanted to do and more importantly needed to take the win. I was then asked would I do the relay; a joke was made. “sorry did you say 100 miles? ?” or “100 metres?” regardless I got leg 3 around a bend which was preferred and off we went with a mixed age relay and done purely for fun. The funniest thing was others watching me on the bend with a slow start as the distance was over in a blink and I couldn’t fire on all cylinders, needless to say I will leave the “sprinting for sprinters “. Another track race and our home meet so I promised to commit to the 5000m with many of the other ladies either injured or otherwise committed. Please please speed come back was my only wish especially as the legs felt like they had been running backward for some time. Lovely as always to meet all the Belgrave crew being the outsider from London. It took 2 hrs to get there from home but an easy commute chilling on the train and even managed to read a few pages of a book. Race was at 1.40pm again another hot weekend of racing but grateful to the ladies from the club providing water and much needed support. Battered legs, I claimed the lead for the first two-thirds of the race. Wendy Webber of Milton Keynes managed, however, to slide to the front in the final 2 laps and therefore still finished in second place in a time of 18:46. We believe she called it ‘speed work’. Stephanie put on her game face and slogged through every distance runner’s worst nightmare and some much needed points for the team. First time as part of the “ Oxford Series” out in an evening run. I am not a fan of evening races but it always helps push me racing against others than doing all my training runs solo. So hot and feeling a bit flat but regardless got to Combe in time and with Alex we decided to still race even though extreme tiredness and lethargy seemed to kick in. Punchy tough 2 x lap course and hilly course which had my heart racing and breathing erratic, in particular the hill climbs I felt out of control like I was hitting the wall and running through treacle. Alex finished in 8th and I came through in 3rd place, for my race despite the effort you see, I knew I was just running for survival and the finish. 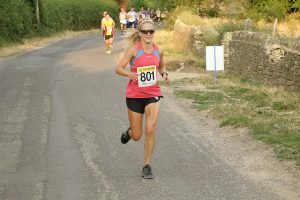 Finished in a time of 27.24 for 4.2 miles and 3rd lady winning a bottle of wine for the effort! 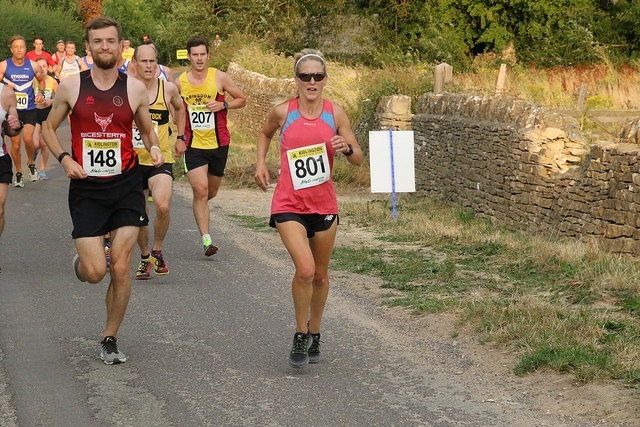 Really large turnout for a summer series and great to see so many Oxford Clubs and a thriving running community.